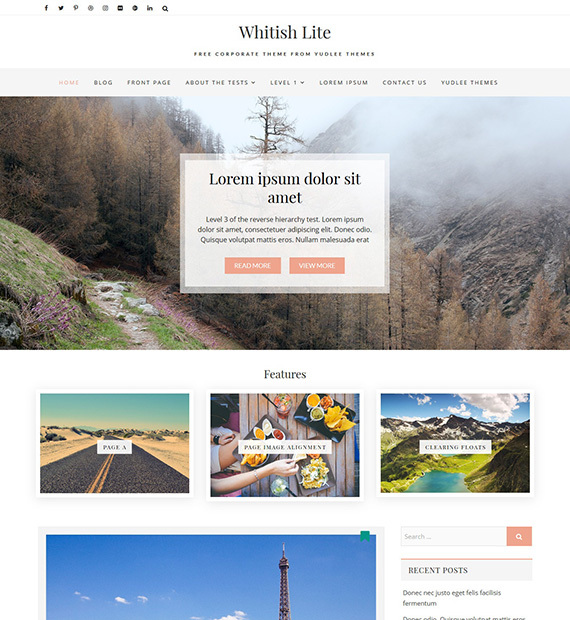 Whitsh Lite is visually appealing, polished and modern free multipurpose WordPress theme. Whether it is blogging, corporates, business, creative websites, news, journals, writers, travelers, photo and personal blogging, it is compatible with all. The theme has 3+ beautifully designed blog layouts to create the alluring website that gives the impressive first look to your visitors. Built-in WordPress customizer which enables the user to customize their site as per their needs.